You know your clients love you, your clinic is a community staple, but business is flat and your appointments are slowly decreasing. This is an all too common statement veterinary professionals are making across the U.S., and increasingly we are turning to client surveys to try and diagnose the problem Surveys, however, don’t tell the whole story. Jan Miller from Veterinary Best Practice says it best: “[In] a typical customer satisfaction survey, you are given choices that range from very dissatisfied to very satisfied, with the middle choice of “satisfied”. When a customer selects “satisfied” they are telling you that you have achieved the lowest level of acceptable service. “Satisfactory” doesn't sound so great, does it? In fact, I would argue that it’s insulting.” Just "satisfied" customers switch veterinary practices all the time, loyal customers stay - but what exactly have you learned from the survey question? One of your clients is nearing the precipice, but you still don’t understand why. There is more to measuring client satisfaction than a few questions you ask your clients once every couple of years. You can ensure more loyal, happy, paying clients by using better measures of client satisfaction that give feedback all year round. Response time – Taking too much time to respond to client requests (this includes voicemails, emails and phone calls) is a sure way to cause an impatient client, or a potential client, to seek help elsewhere. A client’s needs don’t go away just because you don’t answer the phone. They simply call someone who answers promptly. In today’s world of electronic relationship management, response time is one of the only ways we can effectively communicate that our client’s needs are just as urgent to us, as they are for them. Set a response time goal - within X hours or minutes. Measure and track how often you met your goal. To better meet your goal, make sure your website is up-to-date on current information or give clients the ability to request appointments and refills when it is more convenient for them. Time with the Customer You’re busy and sometimes it's not possible to spend a lot of time with a client, but moving too quickly from patient to patient can be detrimental. According to DVM360 “you don’t need a survey to tell you that your appointments run overtime, that your team members put clients on hold too often or that sometimes clients are given short answers that deserve longer explanations...you already know.”There is a middle ground between being too chatty and the overly efficient provider. Set a benchmark for the duration of time spent with each client and use the time to genuinely engage with them. Run out of time? Set a follow up or refer them to another source, like VitusVet, which gives pet owners 24/7 access to their pet’s medical records, for them to refer back to at anytime. Log your results, and see if you can squeeze more meaningful, face to face interactions into each appointment. 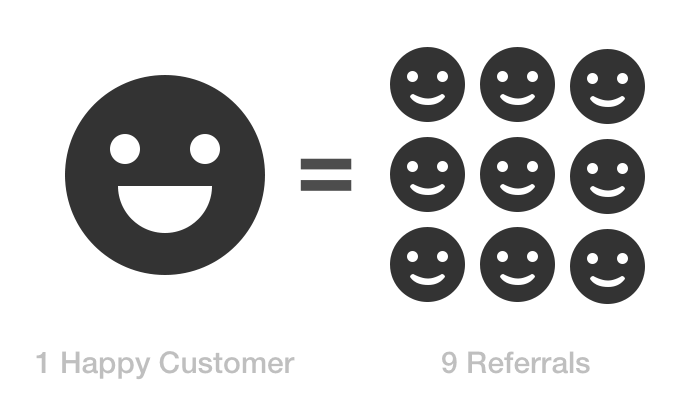 Client Churn Rate – Client retention is key. Lee Resource Inc. found that “attracting new customers will cost your company five times more than keeping an existing customer and a 5% increase in customer retention can increase a company’s profitability by 75%.” If you don’t know how much business you are losing, you won’t be able to understand how much new business you will require to stay out of the red. You need to know IF you’re losing customers before you can even begin to ask WHY. No business is immune to unhappy customers. Measuring client satisfaction all year round through manageable benchmarks, instead of once a year surveys, enables you to react faster and more efficiently - slowing down your churn rate and creating more demand for your veterinary clinic. Offering your clients solutions and tools, like VitusVet, will increase client satisfaction and keep your appointment books full of satisfied clients.